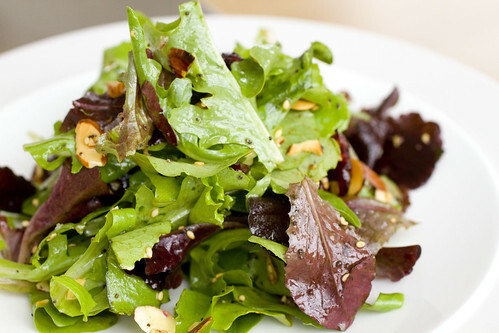 « Holton Farms, a New and Improved CSA + Discount! 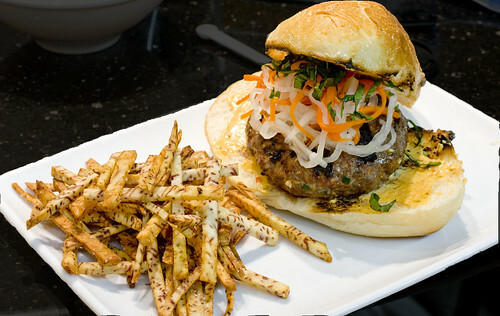 I really love making Mother’s Day meals (see last year’s), and I’m scrambling to decide what to do this year. We don’t have a fully functioning kitchen right now so it’s going to be tough. For my mom, Lon’s mom, and probably most mom’s, it’s really enough to just see the effort. It’s a day for them to sit back, relax, and be served, a rarity for mother’s. So, how can I help you decide what to make for Mother’s Day? Without knowing what your mom’s favorites are, I won’t be able to hit this one out of the ball park. So, I thought I’d share my mom’s absolute favorites. Here’s 8 winning recipes. I hope you’ll try one or more out this weekend! My mom loves shellfish (and this apple does not fall far from the tree). She often gravitates towards clams and mussels on the menu at restaurants. 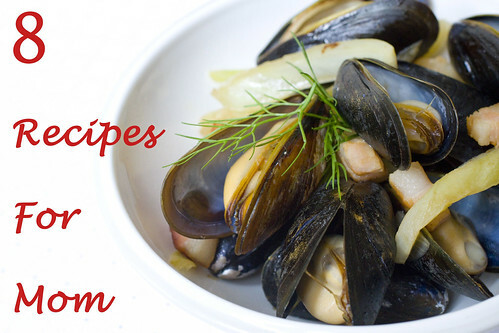 These Remy Mussels with Bacon and Fennel really impressed my mom, and it’s a great starter. Make sure to get some crusty bread for dipping! I believe I’m the one who introduced my mother to Portobello mushrooms. She’s totally in love now and keeps an eye out for them. But, she never makes them herself, preferring to stick to cooking Chinese food, what she’s an expert at. She’ll just ask me to make them for her. She’s also a huge fan of acids. I think I introduced her to balsamic vinegar as well, another gold star favorite now. 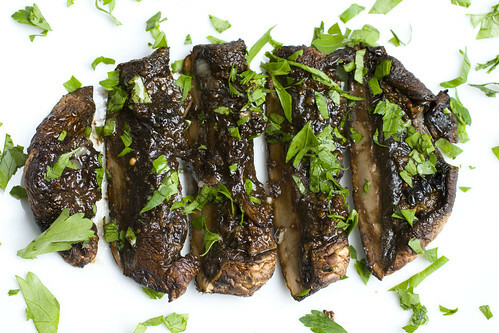 The two together make Balsamic Drenched Portobello Mushrooms. Any meal I make for my mom has to include salad. She loves vinaigrette and often asks me to make little jars of dressing for her. I’m going to cheat here and give you a couple of salad/dressing recipes. It’s only fair because my mom seriously loves every salad I have ever made and tells everyone my salads are better than any you’ll get at any restaurant. You can serve it on Sunday or make little jars of these dressings and give them as gifts too. I have already mentioned on this blog, how much my mother loves lasagna. Every once in a while, my mom says something like, when you happen to be making lasagna, could you just save me some? What she really means when she hints that way is, she finished the freezer stash I made for her last time, and needs me to replenish her stock. 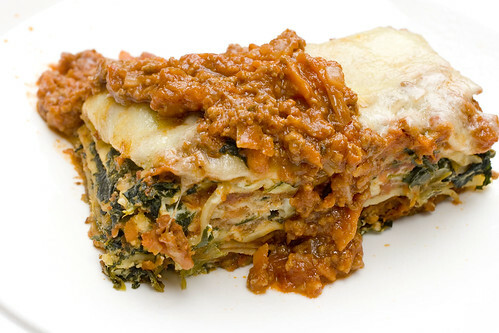 Her favorite lasagna in the world is this Beef and Spinach Lasagna. It’s great if you need to make something ahead of time. This set wouldn’t be complete without dessert, but my mom isn’t really a sweets person. Her only weakness is chocolate cake. Forget ice cream, strawberry shortcake, creme brulees, and fancy tarts. She just wants a plain, no frills, chocolate cake. 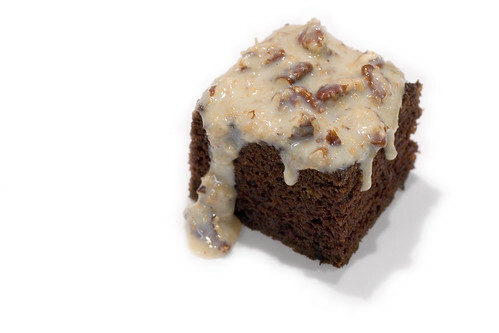 She probably prefers it without frosting, but since you’re looking for a show piece, try this Simplified German Chocolate Cake. Hope you have a great Mother’s Day with your mom! posted by jessica	at 09:21 AM	Filed under Holidays, Recipes. You can follow any responses to this entry through the RSS 2.0 feed. Both comments and pings are currently closed. This year there will not be any mother’s day lunch but I am sending over a present and hope that my dad will take her out to eat! Our mother loves pizza. Quite unexpected. =) But, I think that’s about it, though. I have to think of what other “American” foods she likes. Hehe. Excellent recipes for Mother’s day! Dolce, I hope your dad is better at this stuff than my dad. TS, really? I think cheese is the hardest one for the Asian parents to get used to, but my mom actually loved mac & cheese. Waw!! What a beautiful spread of tasty & superb dishes!! It is all so colourful too! My mom is away for Mother’s Day, so we won’t be celebrating on this official day. Well, at least she’s having fun now, while I’m in NY. Lovely recipes! I think my mom would love any of these! I like the portobello! Kim, we don’t have a kitchen right now so we may be going out this year, sadly. What a wonderful list! Your mom is very lucky. Great selection of dishes, it’s hard to choose one!